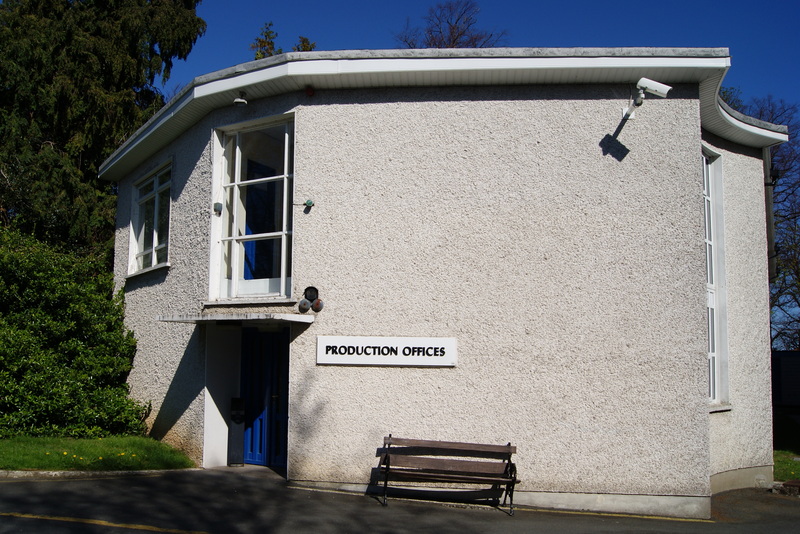 Home › Film and TV › Why Ardmore Studios is in danger of closing down? Nominated in the Best Blog Post category for the Blog Awards Ireland 2012. Ardmore Studios has had many ups and downs throughout it 54 year history today serious question marks have been placed over its future. I have many memories good and bad of working in Ardmore and hopefully I will have more to come. In the past 2 years I highlighted many issues on whats wrong with the Irish film industry. Here are the main reasons I believe Ardmore finds itself in this dilemma. 1. Size of studio: Built in 1958 Ardmore with several previous owners and closures. It consists of 5 studios spaces A, B, C stage built between 1958 and 1960 D stage was built in the late 1980’s E stage is a converted construction shop. To meet current production demands sound stages need a minimum floor space of 12,000 sq. ft. only D stage at Ardmore can claim to meet the requirement. There has never been satisfactory sound quality on any of the stages at Ardmore Studios . 2. Lack of space to develop: In early 1990’s lands owned by Ardmore behind the studios were unwisely sold cheaply (pre Celtic tiger) by the new management for reinvestment in the studios. This land had been used as a back lot to build exterior sets; this would allow most of filming to be done within the confines of the studios keeping down labour and transport costs. Without this land any further expansion of Ardmore was impossible. Since the mid 1990’s the office space has been inadequate and most production has been housed in porta-cabins behind the canteen, not what you expect working 12 hours a day in a film studio. 3. Changing industry requirements: Over the last 10 years there has been rapid changes in film and television production, with the introduction of digital cameras and greater use of green screen. 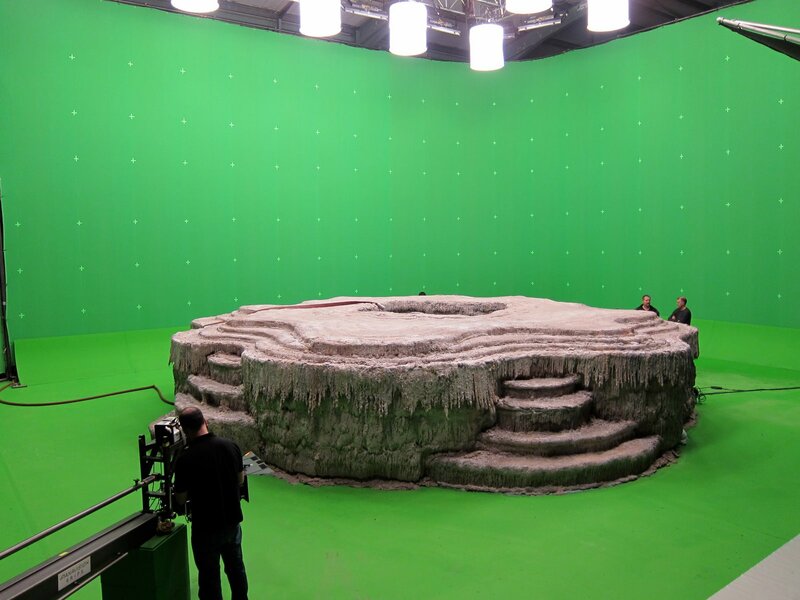 With the exception of D stage none of the other stages are large enough for green screen facilities for a feature film. In recent years films such as the major Hollywood movie ‘Leap Year‘ with Amie Adams choose to invest €500,000 to retro fitting out a refrigerated unit in East Wall Dublin as Green Screen sound stage rather than use at Ardmore, I was involved in a production of ‘Neverland‘ a 2 part TV series for SkyHD and it invested €200,000 in creating a green screen stage in Santry (see image above) primarily because Ardmore Studios had rented vacant stages to Camelot as a construction workshops. Both of these fit outs were torn down at the end each production and these are just 2 examples that I use. Money that could have been better used in film production at a properly equipped studios. 4. Morgan O’Sullivan: Has been Mr Ambassador for Irish Film for more than 25 years and was responsible for bringing in more than 60% of all productions that have come through Ardmore Studios in that time, and must be given due credit for that. Morgan O Sullivan had become a crutch for Ardmore, in recent years it had become almost totally reliant on Morgan’s ability to bring in work to Ardmore. Morgan is a man of vision and realised that Ardmore, neither has the space or desire to bring the studios into the 21st century and most likely sought out an entrepreneur to invest in the development of a new studio. Ballyhenry Studios is now ready and its first production will be Morgan’s World200/History channel 12 part TV series Vikings. 5. Ballyhenry Studios: Over 7 years plans were put in place to build a new studio complex by business man Joe O’Connell at Ballyhenry, Ashford with the guidance of Morgan O’Sullivan. Original larger plans were rejected follow pressure from Bray town Councillors who felt the new studios would see the demise of Ardmore. A modified planning application was lodged an approved and work has been proceeding a steady rate over the past 3 years. It is likely further pressure will now come from politician’s to invest and Ardmore, but Ardmore is responsible for its own demise, and why should tax payers cough up more for what has been very poor management. Ardmore had 7 years warning to get its house in order and at least match the competition in Ireland, it did nothing. 6. Poor marketing and business plan: In my opinion Ardmore has unwisely spent considerable sums of money adapting buildings within the complex as studios spaces without any thought or design and adding costly auxiliary buildings, which added no value to the overall facilities at Ardmore. It opted unwisely to leave sets standing from The Tudors and Camelot (at reduced fees) following the end of the production shoot, using up valuable sound stages, when they should have been out seeking another productions to use them as sound stages. The nett effect was Ardmore was unavailable to any other production company for more than 5 years Ardmore – as a facility for film production it had gone off the international radar. In recent years our nearest rival in the UK, has gone from strength to strength and it’s difficult to understand how Ardmore was unable to encourage any of the overspill from the UK into Ardmore. Over the last 15 months its books have been practically empty. At the other end of the country Northern Ireland has successfully enticed some big productions into the newly built Paint Hall Studios at the Titanic Quater, with the $40 million series of Game of Thrones going into its 3rd year. 7. Working restrictions: Since lands adjoining Ardmore were sold off to developers and housing was built residents have objected to weekend exterior work taking place at Ardmore. Film production is a 7 day event and this further restricts exterior works at the weekends. 8. European Co-Production and Indigenous film making: Two other factors why Ardmore has been in decline more investment. In recent years more investment has gone towards Indigenous TV series and film making. In the majority of cases most of these productions do not require sound stages for long periods of time so have opted to use disused buildings such as the John Player factory at South Circular Road. Ardmore needs to recapture that business somehow. Recently many Irish production companies have been co-producing projects with other European countries; most of the requirements from the Irish end would be mainly the Irish scenery. Hopefully the newly built studios at Ballyhenry will attract bigger Hollywood productions back into Ireland and Ardmore could feed off these productions. As an industry it is impossible to survive without a studio that can match international standards, and Ardmore has fallen so far behind. We need to put Ireland back on the international film map as having a first class studio space. Hopefully Joe O’Connell of Ballyhenry Srtudios will have closely analyzed the mistakes made by Ardmore. Ireland needs big budget international production coming here. Big productions create a lot of jobs over a longer period and the spin off to other sectors is huge. Big production are required to create and maintain a sustainable industry, an indigenous industry cannot maintain or grow without the support of larger production. Without the bigger production the demands to maintain the level of axillary services required for film production are just not feasible . If Ardmore is to survive it needs to be far more proactive in selling itself as a studio space. A visit the modern studios of Budapest and Prague would quickly point where the competition is at. In the 20 years I have been involved film never once were my views or other heads of departments working within the industry sought on what needed to be done at Ardmore. What will €500,000 do for Ardmore and who will provide it? after all Paul McGuinness and Ossie Kilkenny despite the recession remain 2 of the wealthy and successful business men in Ireland, surely they were aware of what has been happening in Ardmore for years and did nothing to stop the slide. Over the next few days both Government and opposition politician will be voicing their concerns over the potential loss of Ardmore studios and the impact on the Bray area, they would be wise to first find why Ardmore has failed to secure any major bookings of its sound stages for the last 15 months, and its dismal business model particularly between 94-2007 when money was rolling in. In Irish terms we have become accustomed to bailouts in recent years, lets not add Ardmore to the list. The loss of 20 jobs at Ardmore would be tragic but it has performed poorly as a business, its a private enterprise it must act like one to succeed. To me Ardmore has always operated like a poorly run government agency where efficiency was never a concern or a vision for the future. Of course the threat of closure could also be a kite flying exercise form the Ardmore management to bring pressure to bear on the producers of “The Vikings” and the Irish Film Board to keep the production at Ardmore. Watch this space there is a lot more to come. Add to which Ireland’s only chance of survival in the international market is in TV productions (as 481 still applies to TV unlike tax breaks in other european countries – why are all the Great New 2012 Productions Coming announced by the IFB reliant on TV drama?) and the stages are comparatively film-centric compared to other facilities. There has never been any consistent investment into Ardmore. The first time I worked on E stage we had to put buckets inside to catch the drips when in rained, B stage door wouldn’t shut and D stage had a gerry rigged grid that was unsafe. These have had sticking plaster solutions applied. The dog in the manger policy of only allowing one lighting company, one camera rental company, no proper workshop rental space, and general lack of usable space (how many studios have had to erect tents on the lawn during larger productions?) along with minor gripes like canteen food that is worse than my school’s and nowhere to park means that it is often easier, let alone cheaper to film elsewhere in the state. Who wants to throw 1/2 m euros into a leaky sieve? Ardmore only survived as the only game in town. Complacency and bad forward planning probably signals its demise. Given that all the land below the studios on Bray Commons, next to the Dargle, has been zoned as light industrial they could have expanded onto a good solid gravel based flat site (only slightly in ganger of flooding! But the OPW have promised to fix that) with access directly from the N11 via a bridge over the Dargle. But sadly those days are NAMA gone. I hope that Morgan and Joe O’Connell don’t fall at the “Union Travel Time” hurdle – especially after all that investment from the EU in our road infrastructure. That’s crap! The whole- it might be a kite flying exercise to bring pressure upon the producers of “The Vikings!” That’s not right-not right at all! Sounds both horrible if it does close and yet fine even if it did due to the fact that you’ve listed reasons that Ardmore studios haven’t been it seems doing well at all! It seems the only way would be to find a large amount enough of people to raise €500,000 to keep it afloat-because it also sounds that if it does close-it would put a larger burder on the larger studios because Ardmore does most of the work? If I’m getting anything at all right? Hmm…if you need any help at all with anything like ‘advertising’ anything-I’ll post anything to twitter too-to help out-or facebook too….I live in the States, love everything irish-um dunno why I just spilled that-but I want to help out with anything-anything I could do-dunno not much-as I’m only a 22 year old student but argh-I’ll edit together pics or something of anything-any event and put it to music to attract more people to vote-that goes for any event! Whoops! I like writing-and my thoughts swept forth-sorry…umm okay I guess those are all my thoughts! Great Blog Post, I tried to book Ardmore for a tour once and after 5 e-mails and calls I gave up, nobody ever replied. Hi Larry, I am not really surprised by that, for years it was almost like such matters had nothing to do with them. Only last week I ran twice to get through to an extension it rang out on both occasions. Too many studios have been decimated by bad management or ownership Ardmores lack lustre style of management is similar to Sheppertons idiotic selling off chunks of backlot for short term profit. You can only go so far with green/blue screen techniques but an in house hands on grip on a studios that offer all things to all men cannot be beaten. Into the Mystic » Hopes for a true film collective?